I hope everyone had a very exciting New Years! Now that the holiday season is over I will be back to my regular, daily, posting. Daily posting can be tough for a lot of bloggers, especially when their blog starts to get a little more professional and less for pure fun, like mine. But last week I found the best tool to help me with this (plus my new blog crush). Sarah from Witty Young Thing created this amazing, FREE, downloadable blog planner. This is a heavy duty, 215 page, blog planner. I downloaded it and went to staples to have it printed and bound costing me a total of $26. This may be the best $26 I've ever spent. After finding this blog planner on Pinterest I fell in love with her blog and asked her to do a guest post on The College Life Stylist, which she graciously accepted! Not only did she accept but she created a new download specifically for my readers! How cool is that! Hi everybody! My name is Sarah and I blog over at WittyYoung Thing- a lifestyle blog where I post about DIY tutorials, organization and everything in between. When Alex reached out to me to guest post on The College Life Stylist I knew I wanted to share something to help keep your new year organized. As a high schooler, it can sometimes be hard to stay on track with everything I have going on. To me, the most important thing is planning ahead. I have found that it is important to know what day of the week an event falls on to make sure you don’t already have something planned. The fastest, and easiest, way to find this out it just having a set of mini monthly calendars. 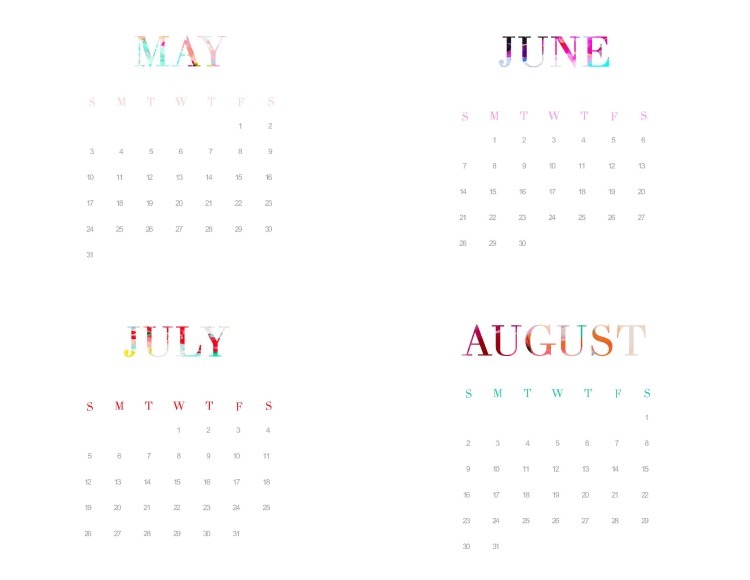 So exclusively for The College Life Stylist, I designed these super cute 2015 mini, printable monthly calendars! This monthly calendar set is the perfect size to have sitting at your desk, or even on a binder ring thrown in your purse. It’s at your hands to help you find out the day of the week at all times. All that you have to do is download these three pages, print them out, and cut to the perfect size! 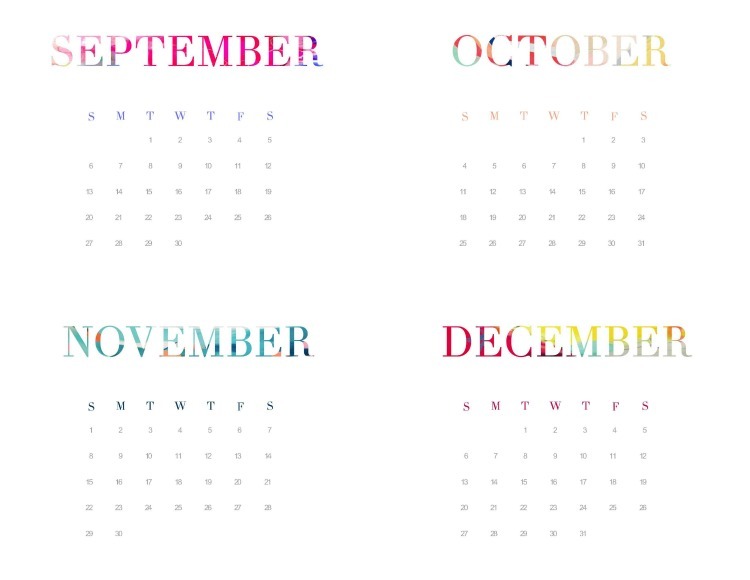 The dimensions of each calendar are 4.25 inches by 5.5 inches, if you want the exact cutting measurements. Click here to download! After you have download the PDF make sure that you are printing the file in landscape orientation. This will ensure that you are able to fit all the months on only three pieces of paper. 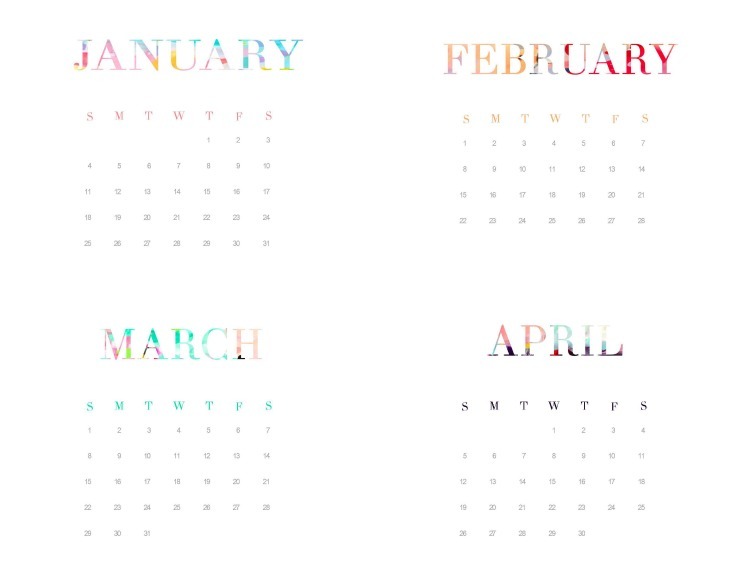 I hope you enjoy these calendars in 2015 and use to your heart’s content! May your 2015 be filled with a whole lot of love and laughter. Dec 31 How to Write a College Paper: eBook!